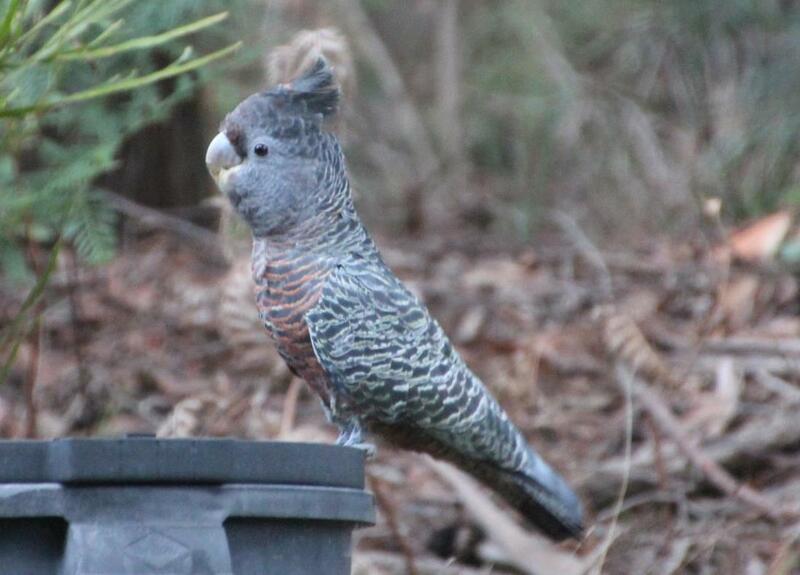 King Parrot, Alisterus scapularis. 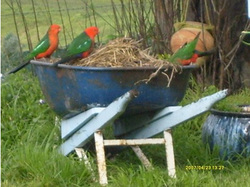 Margaret Ferguson's King Parrots - by the barrow load! 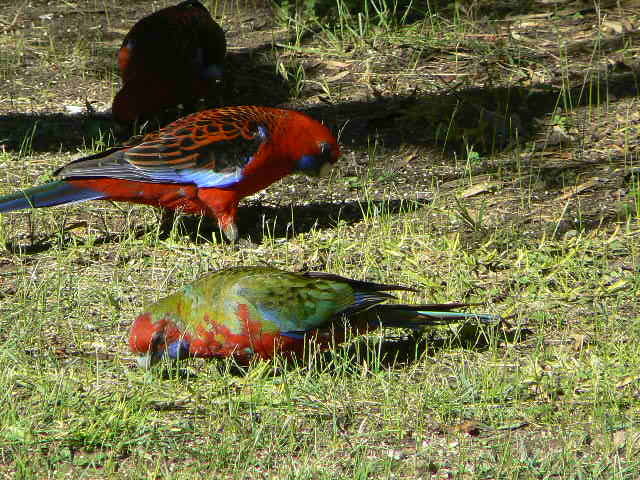 Crimson Rosella, Platycercus elegans, Family Psittacidae (True Parrots) showing immature plumage. These parrots are known to interbreed with Eastern Rosellas. 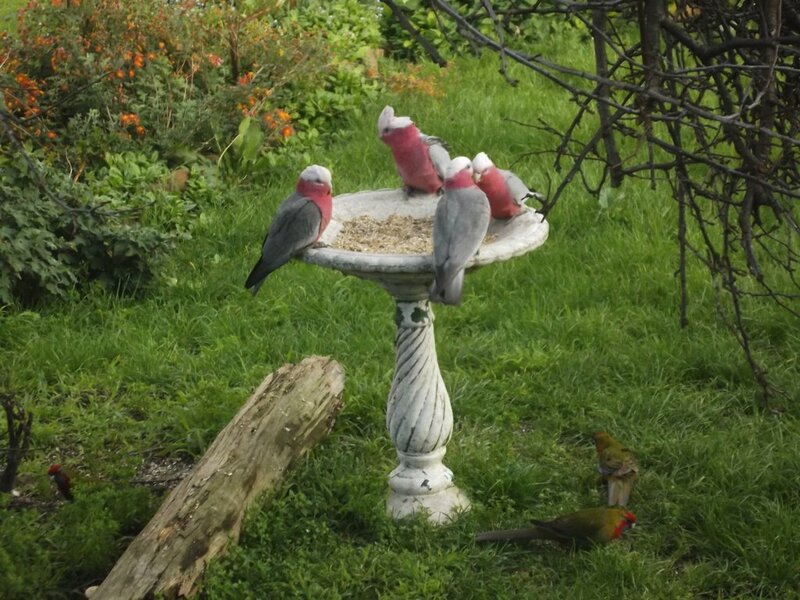 Galahs, Eolophus roseicapillus, at Margaret Ferguson's. 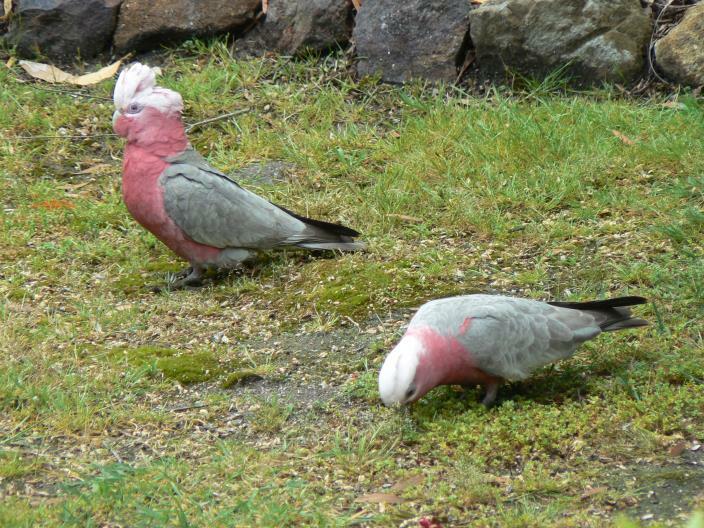 Galah, Eolophus roseicapilla, Family Cacatuidae (Cockatoos). 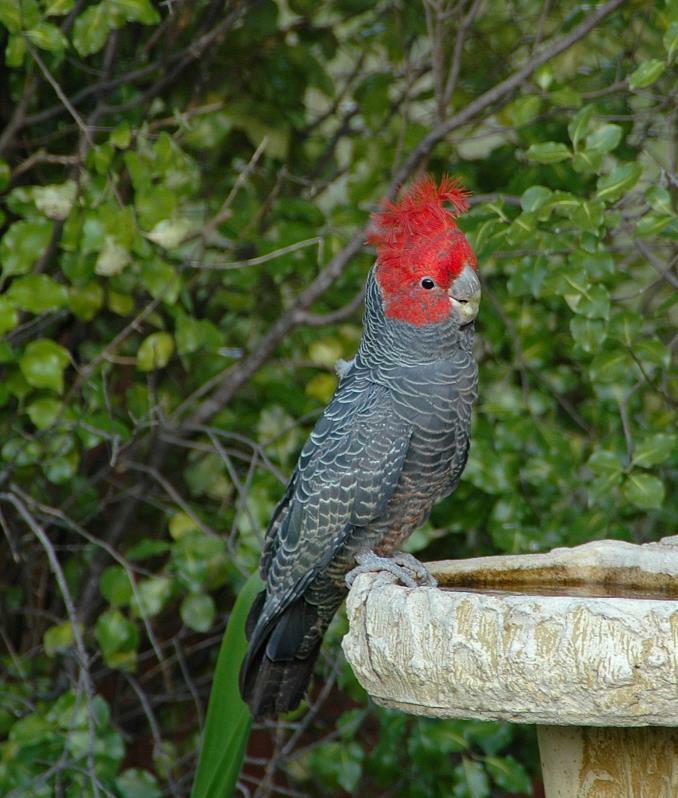 Galahs can be told apart by the colour of their eyes - males have black eyes, females are reddish-brown. 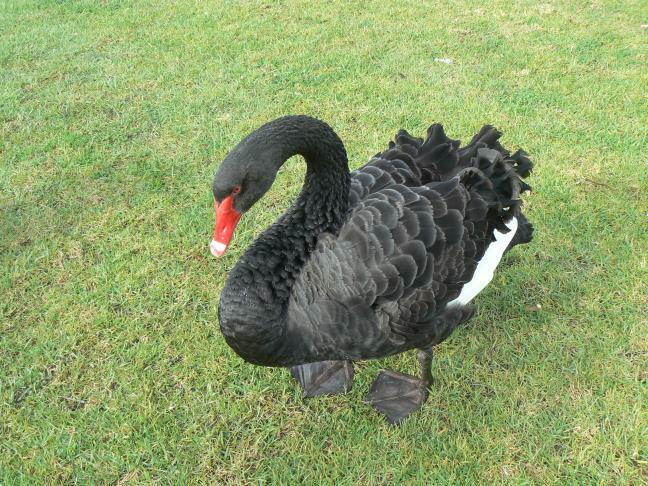 Black Swan, Cygnus atratus, Family Anatidae (Ducks, Geese & Swans). 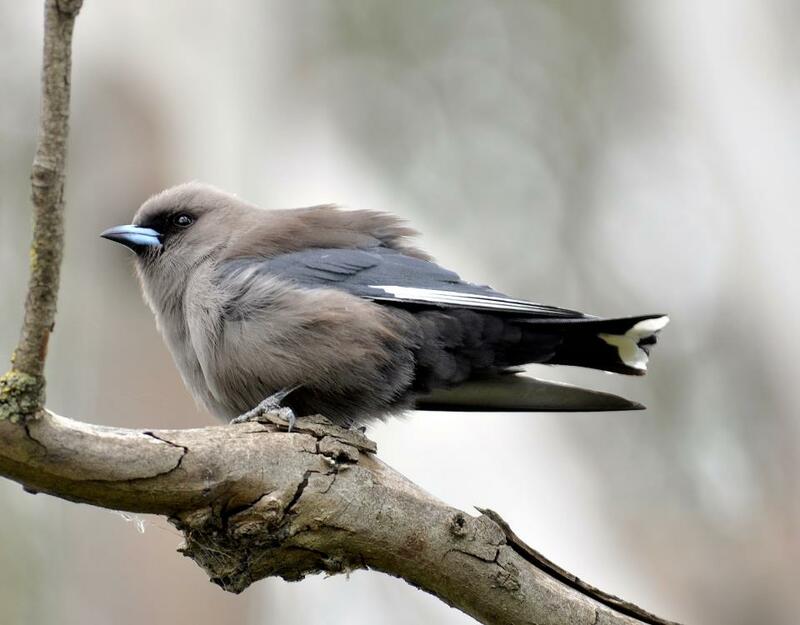 Dusky Woodswallow, Artamus cyanopterus, Family Artamidae, (Currawongs, Magpies & Butcherbirds). By Alison Kuiter. 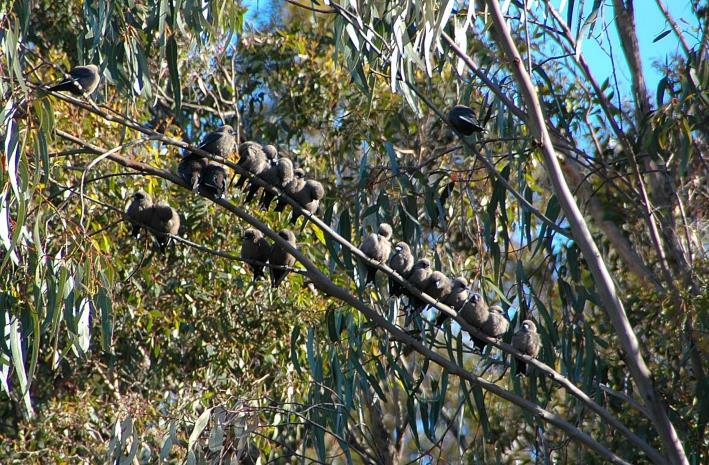 Dusky Woodswallows, Artamus cyanopterus, Family Artamidae, (Currawongs, Magpies & Butcherbirds). By Kim Baggaley. Gang Gang Cockatoo, female, Callocephalon fimbriatum, Family Cacatuidae. (Cockatoos) By Emily Noble. Gang Gang Cockatoo, male, Callocephalon fimbriatum, Family Cacatuidae. By Kim Baggaley. 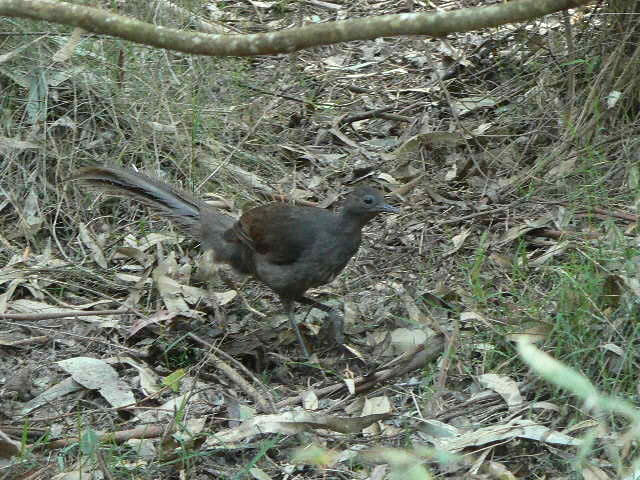 Lyrebird , female, Menura novaehollandiae, Family Menuridae (Lyrebirds). Whiilst considered ground-dwelling birds, lyrebirds do fly - after a fashion, flying-jumping upwards from branch to branch to roost. 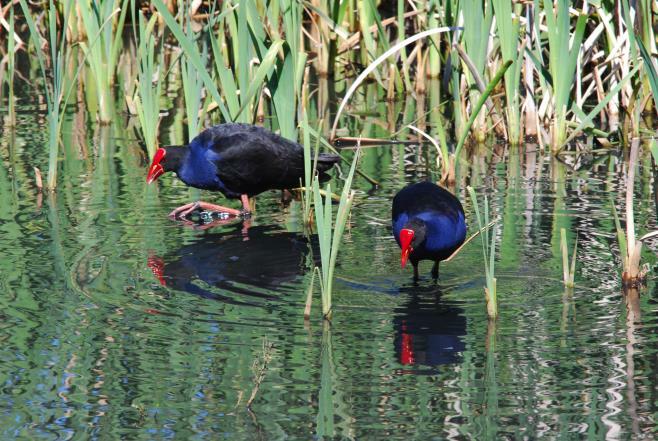 Purple Swamphen, Porphyrio porphyrio, Family Rallidae (Rails, Crakes, Swamphens and Coots). By Alison Kuiter. 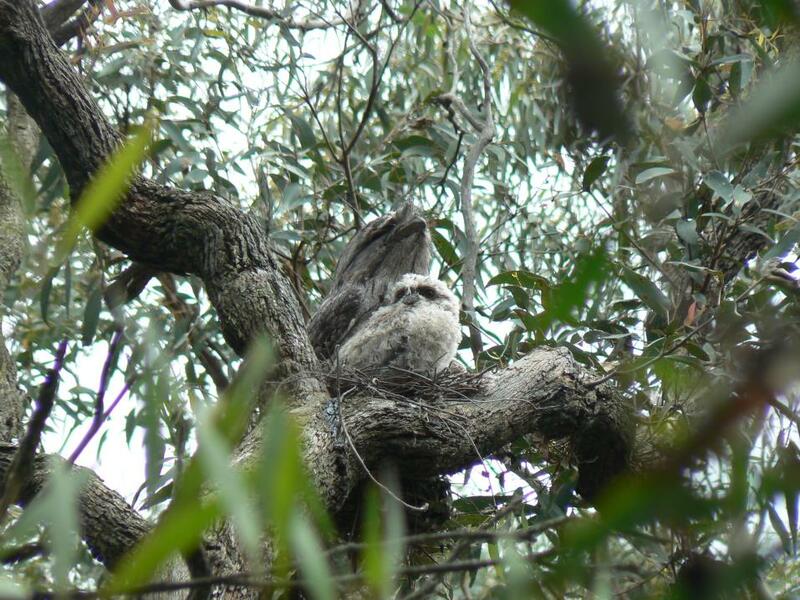 Tawny Frogmouth, Podargus strigoides, Family Podargidae (Frogmouths). 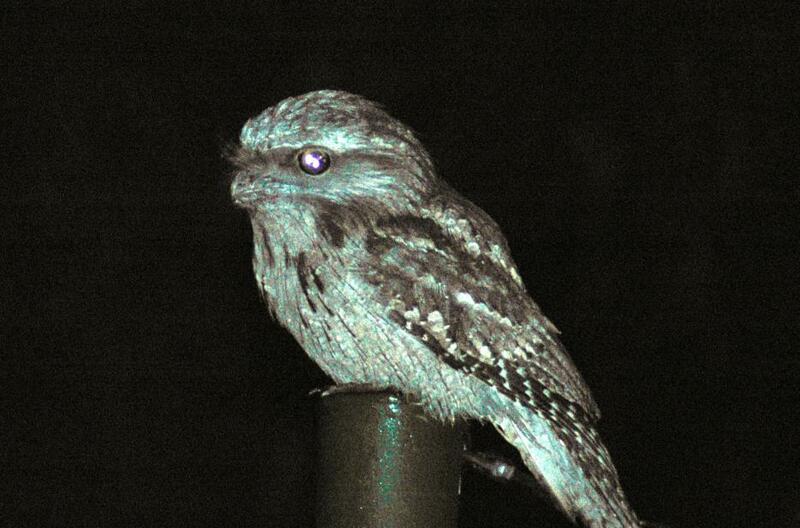 Commonly confused with owls, they are related to Nightjars. Unfortunately often killed by cars on roads. By Kim Baggaley. 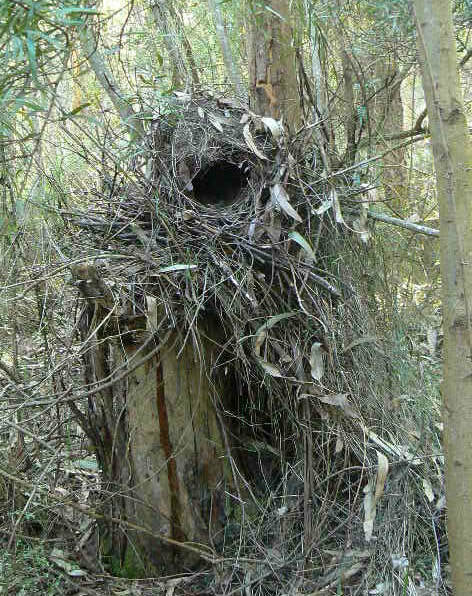 Tawny Frogmouth, family with chick on nest, Podargus strigoides, Family Podargidae (Frogmouths). 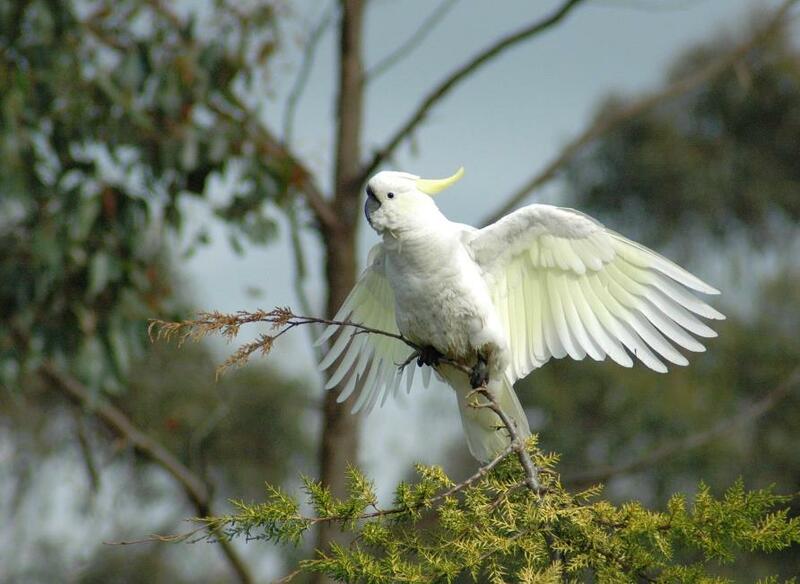 These birds eat snails, worms, insects out at night, frogs, reptiles, small mammals and birds..
Sulphur-crested Cockatoo, Cacatua galerita, Family Cacatuidae (note - no parrots in this family, just cockies) by Kim Baggaley. 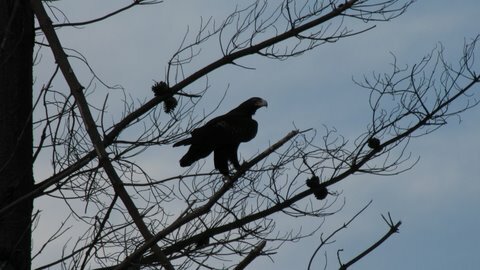 Wedge-tailed Eagle, Aquila audax. The wedgie in flight. 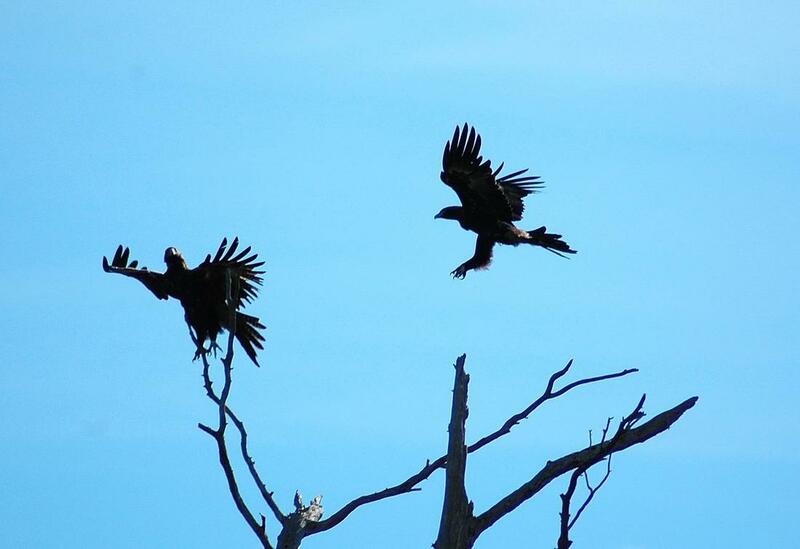 Wedge-tailed Eagles, Aquila audax, Family Accipitridae (Eagles, Hawks, Kites & Osprey) By Kim Baggaley. 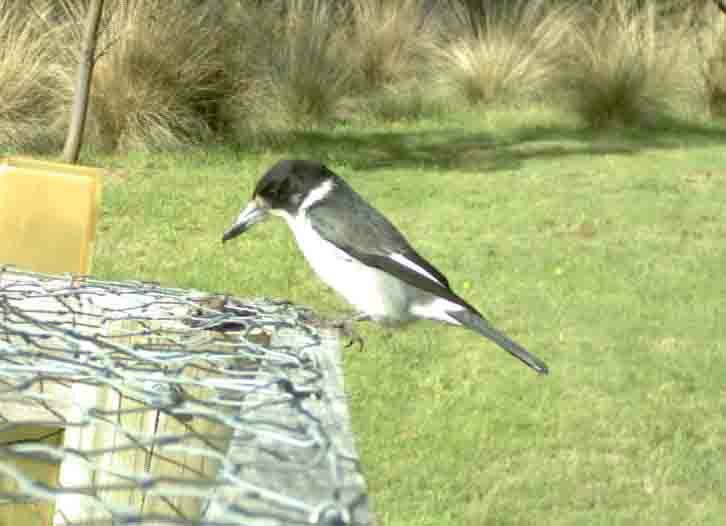 Grey Butcherbird, Cracticus torquatusm, contemplating a mouse bait set to capture birds on our motion sensor camera. John McClumpha. 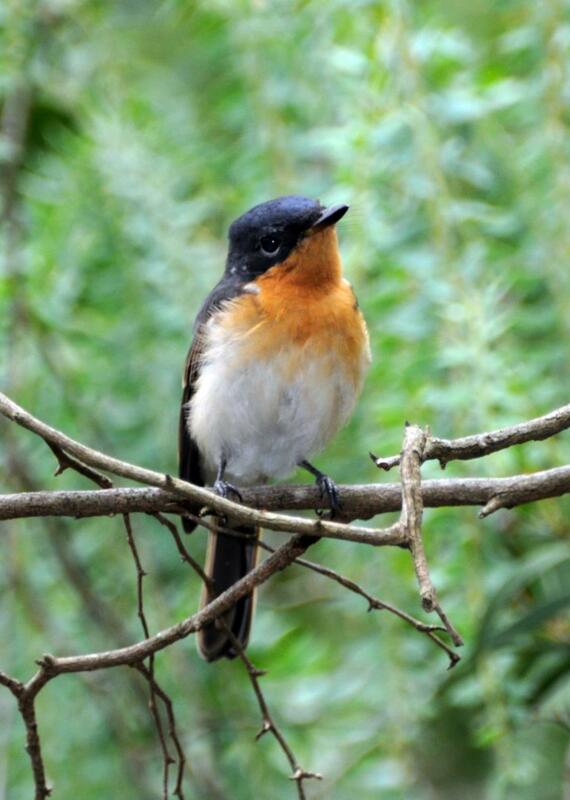 Satin Flycatcher, Female, Myiagra cyanoleuca, Family Monarchidae (Monarch Flycatchers). By Alison Kuiter. 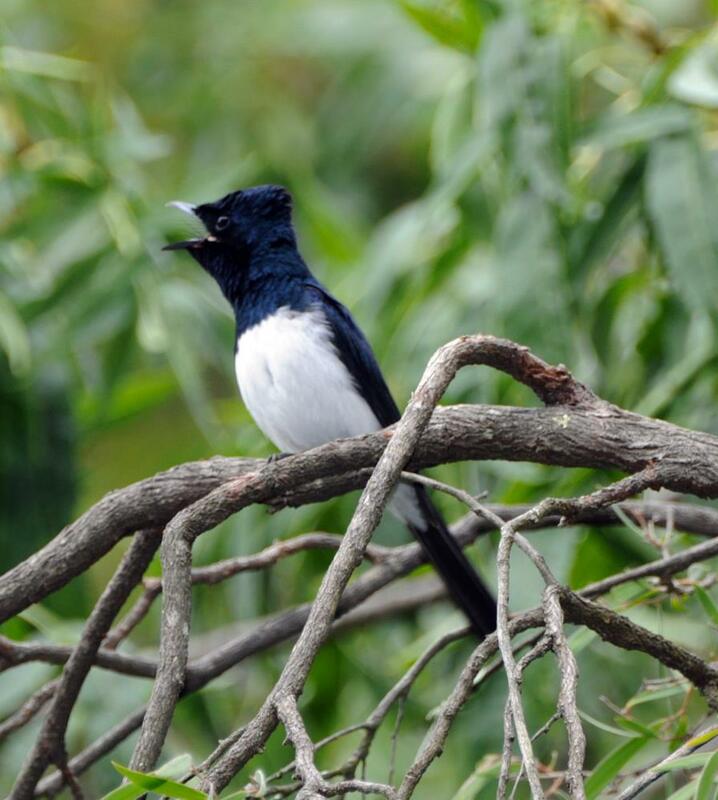 Satin Flycatcher, Male, Myiagra cyanoleuca, Family Monarchidae (Monarch Flycatchers). By Alison Kuiter. 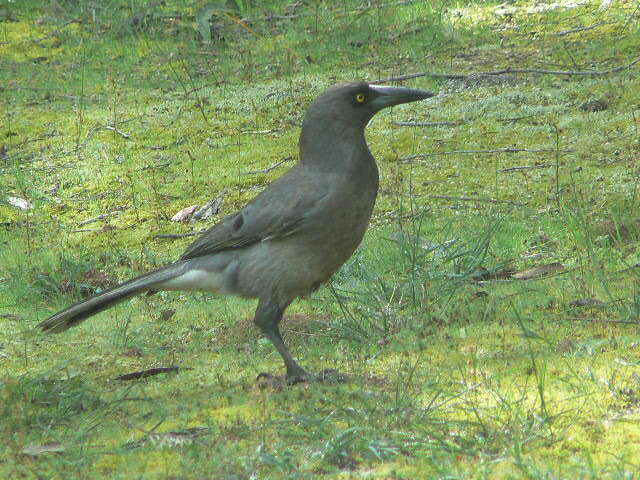 Grey Currawong, Strepera versicolor, Family Artamidae (Woodswallows, Currawongs, Magpies & Butcherbirds). 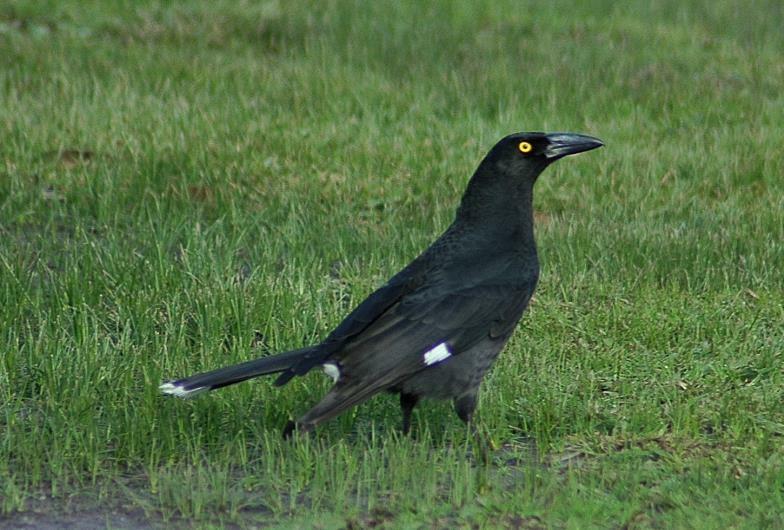 Pied Currawong, Strepera graculina, Family Artamidae (Woodswallows, Currawongs, Magpies & Butcherbirds). By Kim Baggaley. 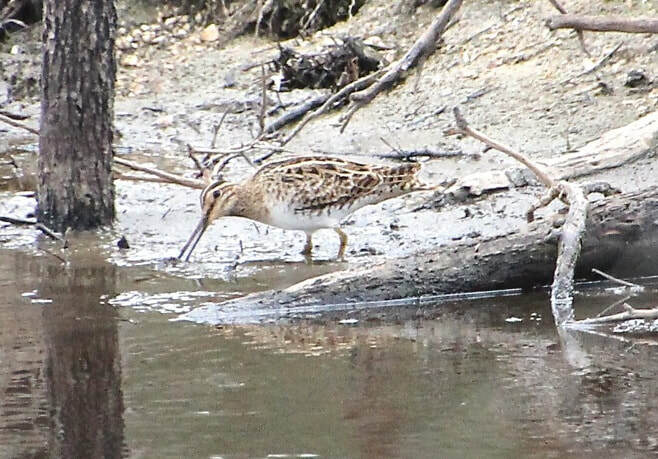 Latham's or Japanese Snipe, Gallinago hardwickii, Family Scolopacidae (Sandpipers and Allies). By Emily Noble. 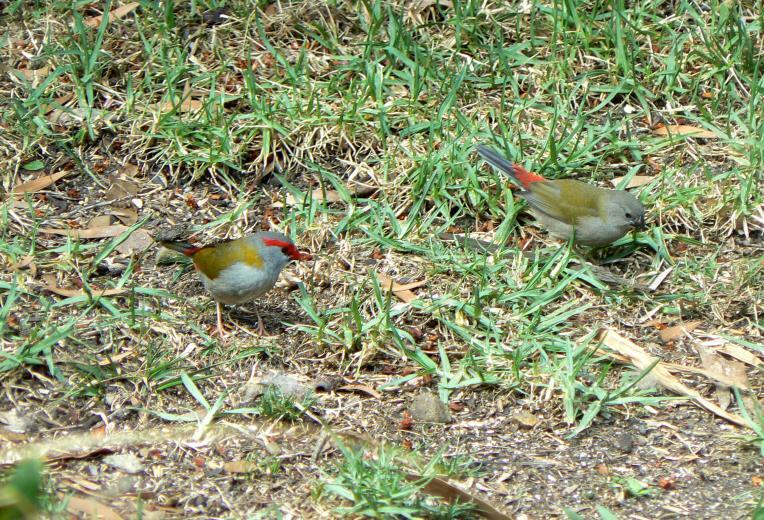 Red-browed Firetail or Finch, parent on left with juvenile, Neochmia temporalis, Family Ploceidae (Weavers and Allies like Finches). 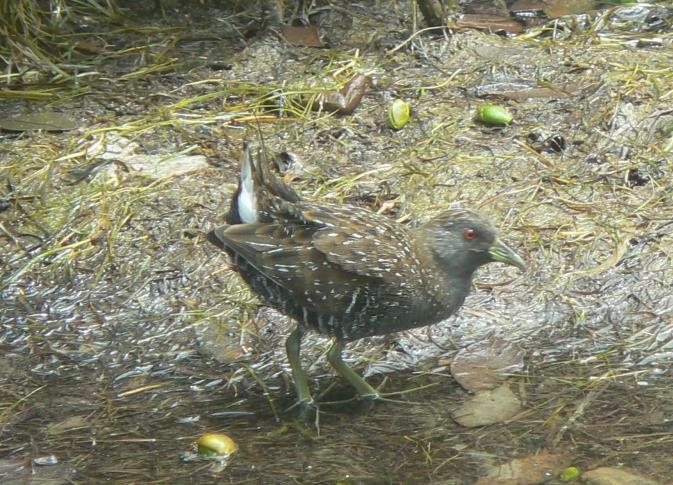 Australian Spotted Crake, Porzana fluminea, Family Rallidae (Rails, Crakes, Swamphens, and Coots). Superb Blue Wren, male in breeding plumage, Malurus cyaneus, Family Maluridae. These boys have been labelled as the least faithful males in the bird world! By Kim Baggaley. 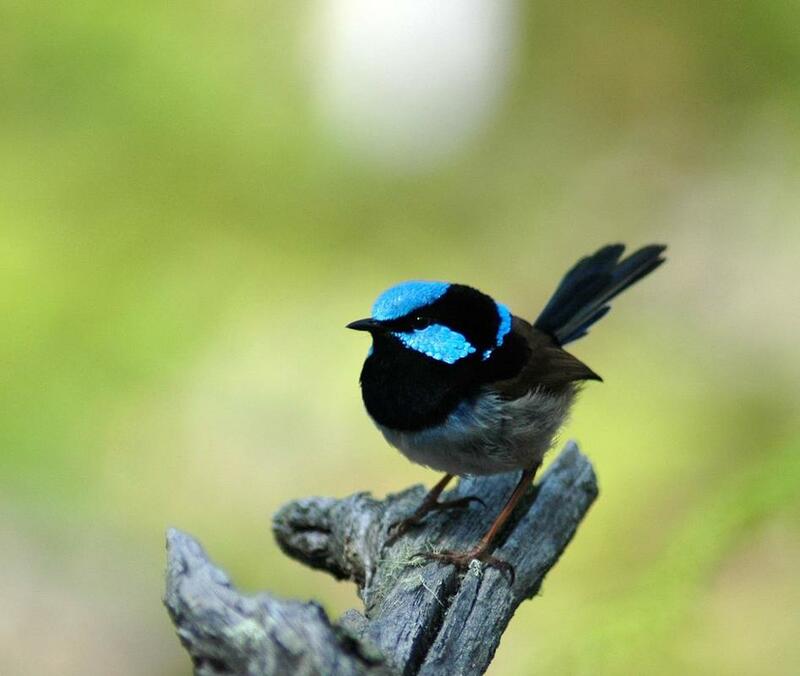 Superb Blue Wren, non-breeding male, Malurus cyaneus, Family Maluridae. 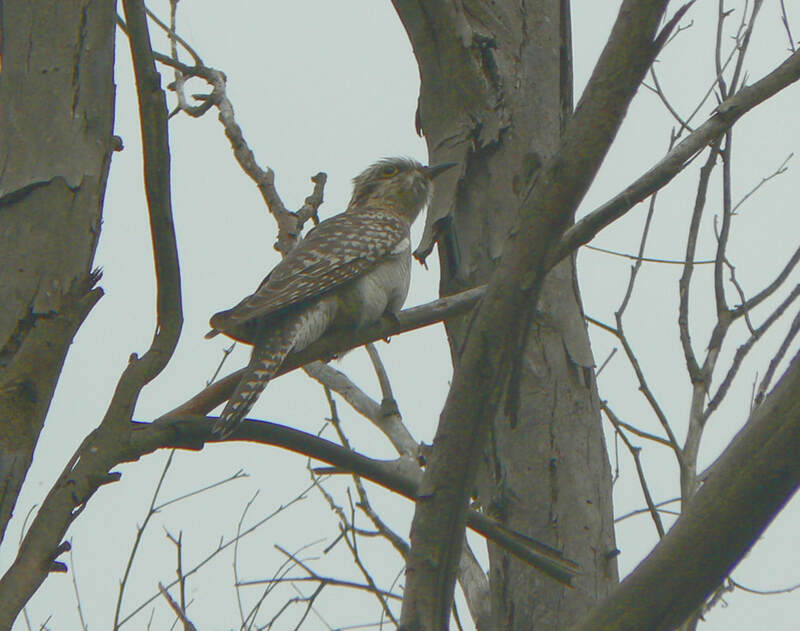 He has a lightly blue tail which tells him from a female. By Kim Baggaley. 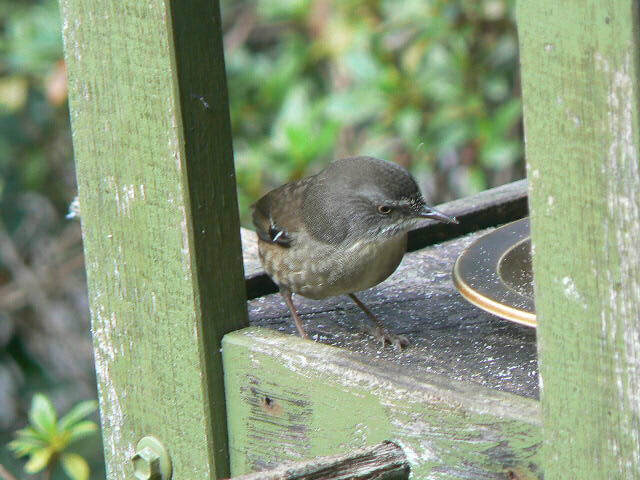 Superb Blue Wren, female, Malurus cyaneus, Family Maluridae. 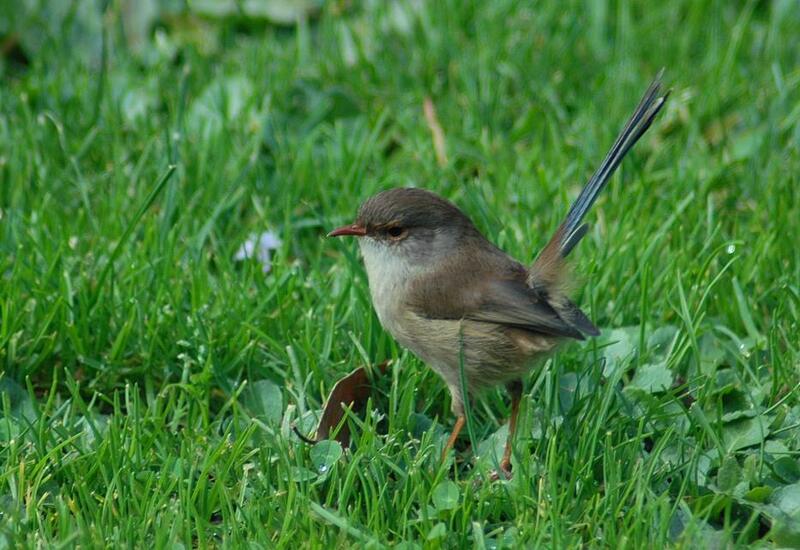 Females have a pale greenish gloss, which is absent in young birds, on an otherwise brown tail. By Alison Kuiter. 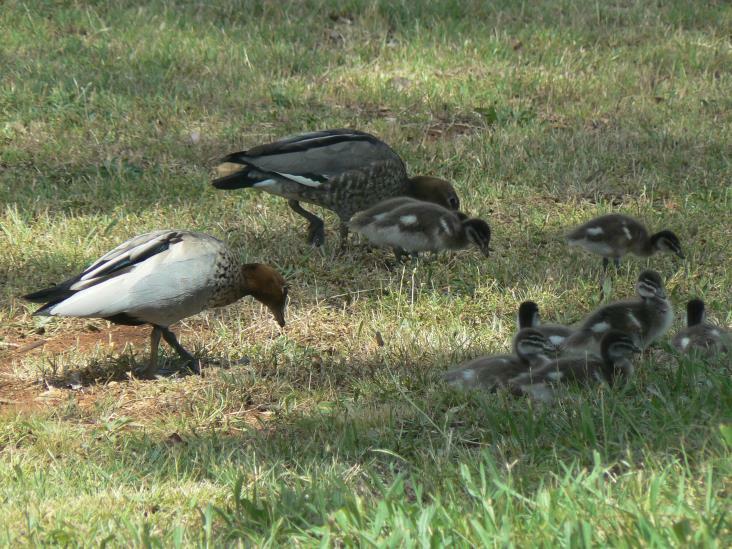 Australian (Maned) Wood Duck, female at top and male on left, Chenonetta jubata, Family Anatidae,, (Ducks, Geese & Swans). 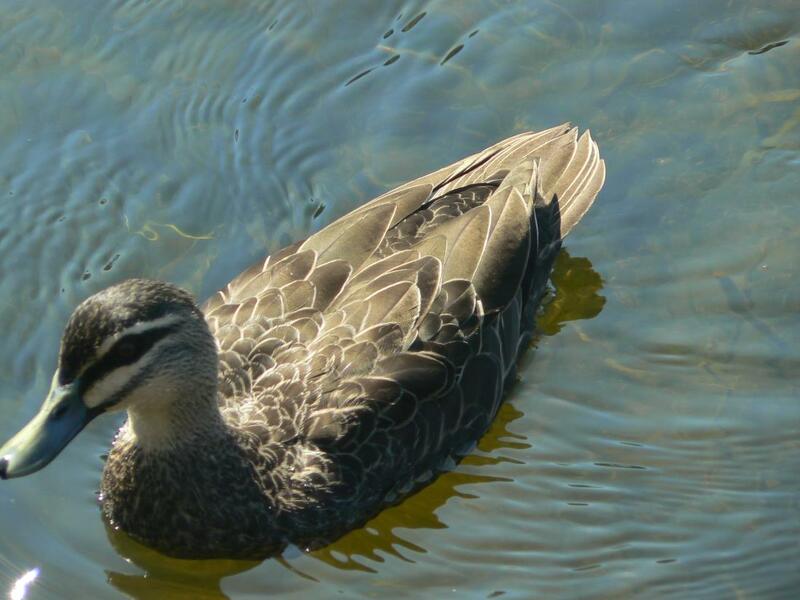 Pacific Black Duck, Anas superciliosa, Family Anatidae (Ducks, Geese & Swans). If you see a Black Duck with orange legs it is a cross( or hybrid) with a Mallard. 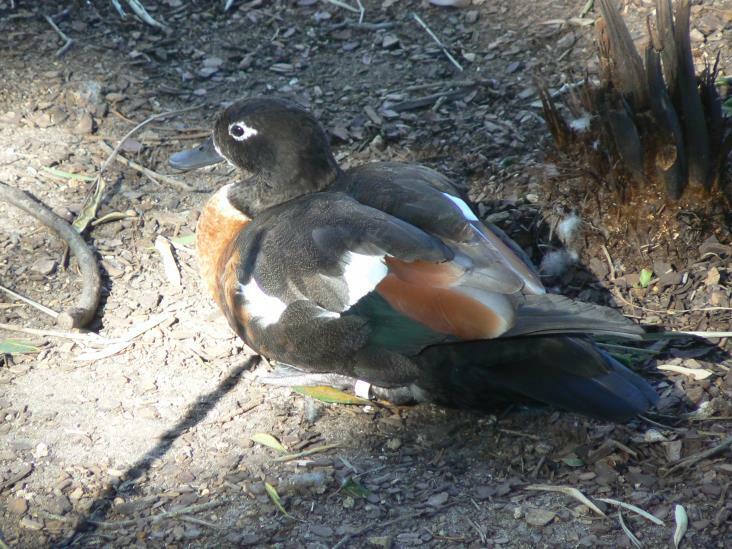 Australian Shelduck or Mountain Duck, female, Tadorna tadornoides, Family Anatidae. 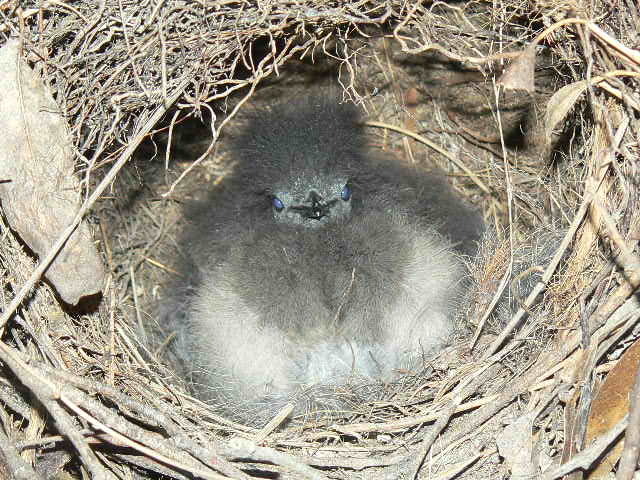 (Ducks, Geese & Swans) The male lacks the white around the eye & beak and is larger..
Grey Fantail on nest, Rhipidura albiscapa, Family Rhipiduridae. 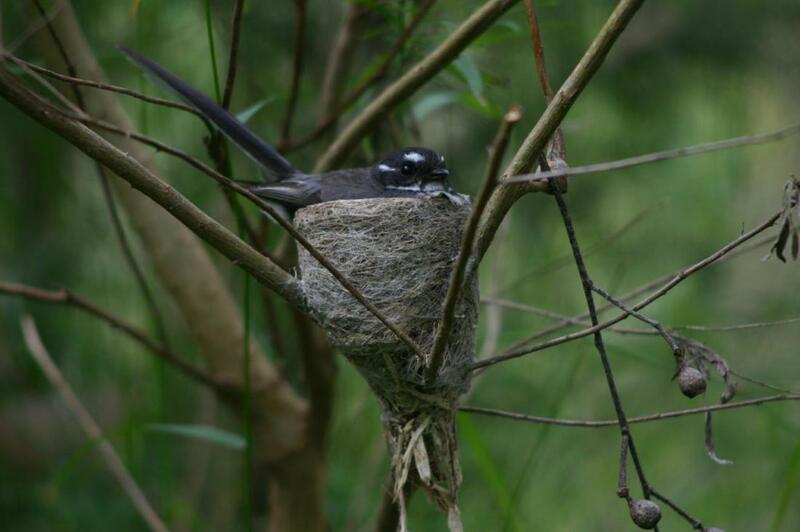 (Australasian Fantails & Willie Wagtail). 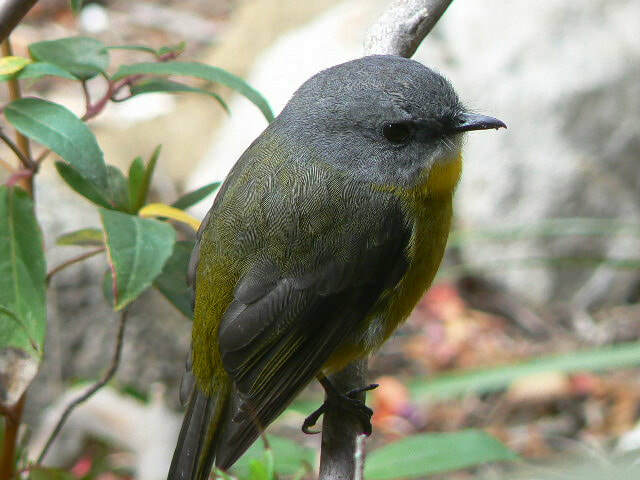 Eastern Yellow Robin, Eopsaltria australis, Family Petroicidae, (Australo-Papuan Robins, Scrub-robins). Eurasian Coot, Fulica atra, Family Rallidae. 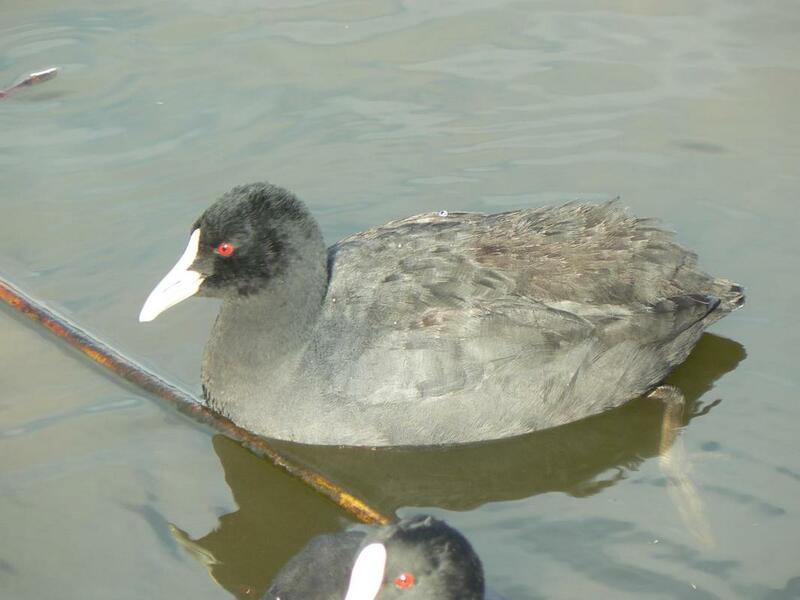 (Rails, Crakes, Swamphens and Coots) Is this where we get the saying ''You old coot!''. 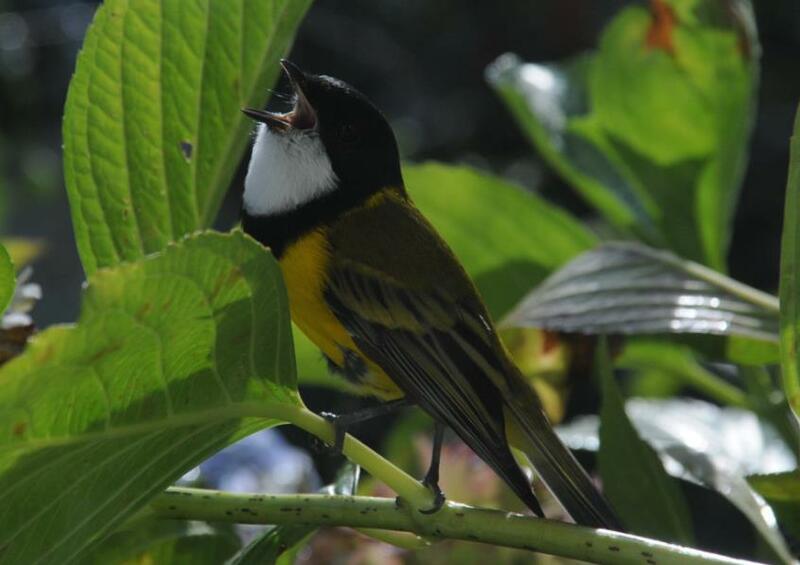 Golden Whistler, Pachycephala pectoralis, Family Pachycephalidae (Whistlers, Shrike-thrushes and Allies). By Ray Proudley. 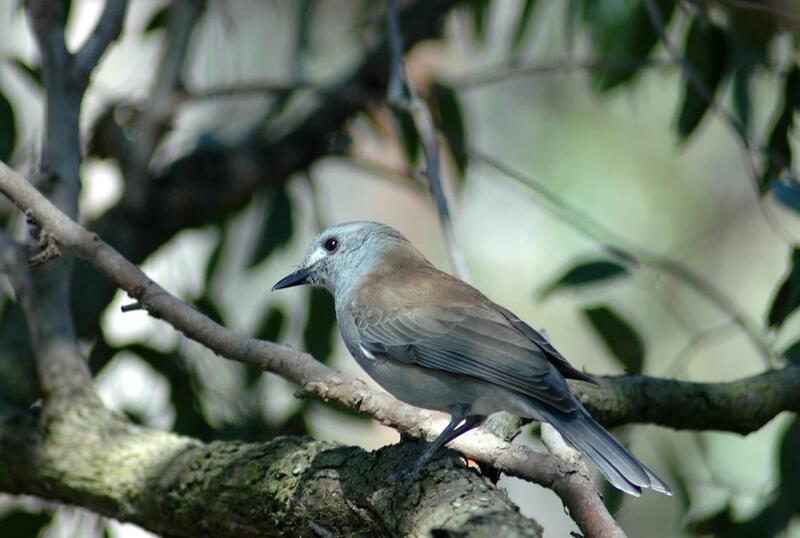 Grey Shrike Thrush, Colluricincla harmonica, Family Pachycephalidae (Whistlers, Shrike-thrushes, Crested Bellbird). By Kim Baggaley. 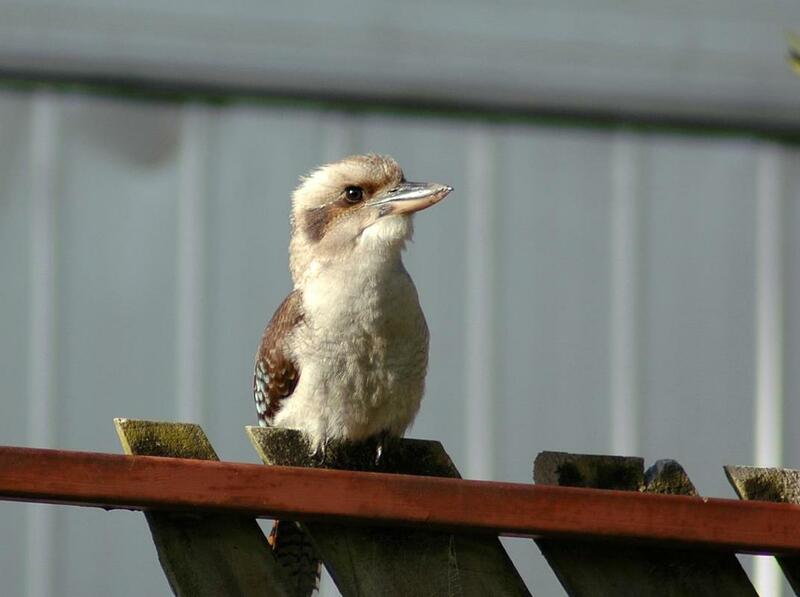 Kookaburra, Dacelo novaeguineae, Family Alcedinidae, (Kingfishers and Allies - CORACIIFORMES. Kingfishers - ALCEDINAE.) By Kim Baggaley. 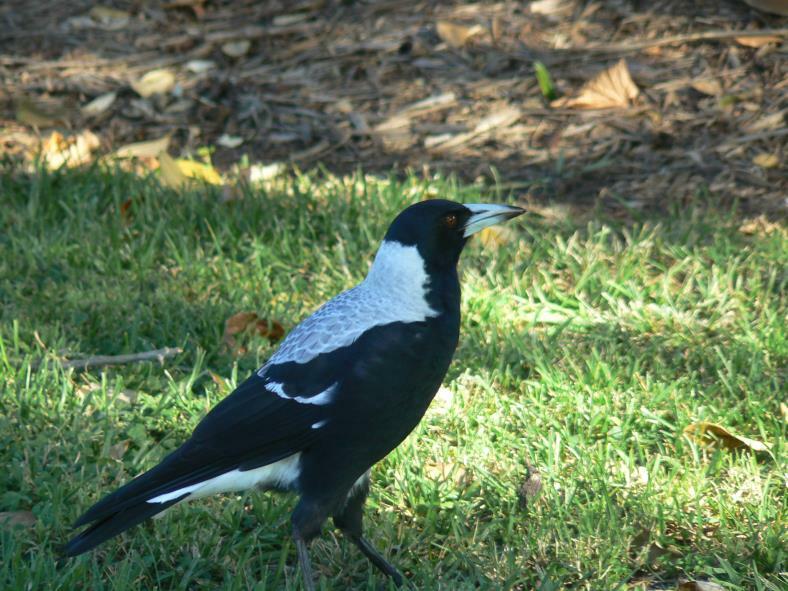 Australian Magpie, Gymnorhina tibicen, Family Artamidae - (and now including the Cractidae family, Magpies, ACCurrawongs & Butcherbirds - Woodswallows). 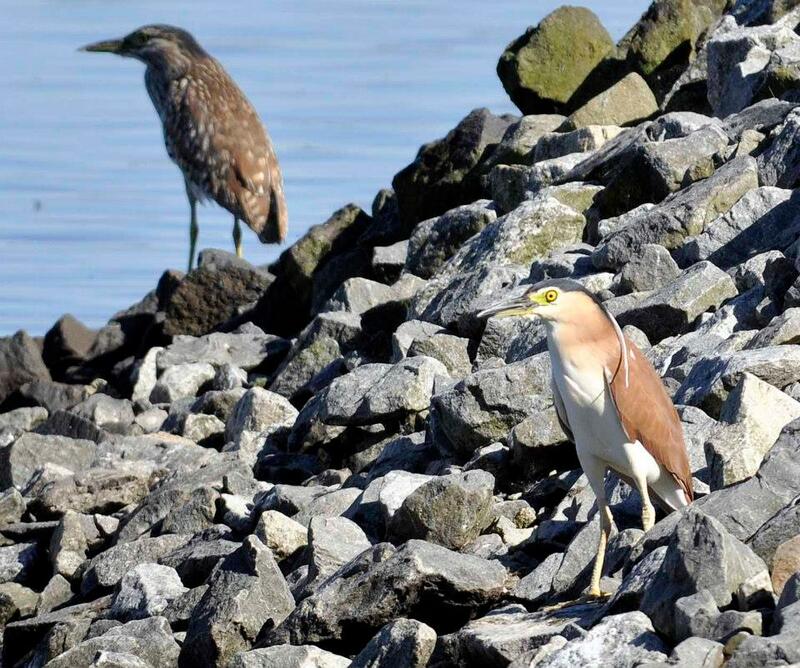 Nankeen Night Herons (imm in background), Nycticorax caledonicus, Family Ardeidae (Herons, Egrets and Bitterns) By Alison Kuiter. Sacred Kingfisher, Todiramphus sanctus, Family Halcyonidae, (Tree Kingfishers). A small bird with a loud and carrying ek, ek, ek, ek, call. By Kim Baggaley. 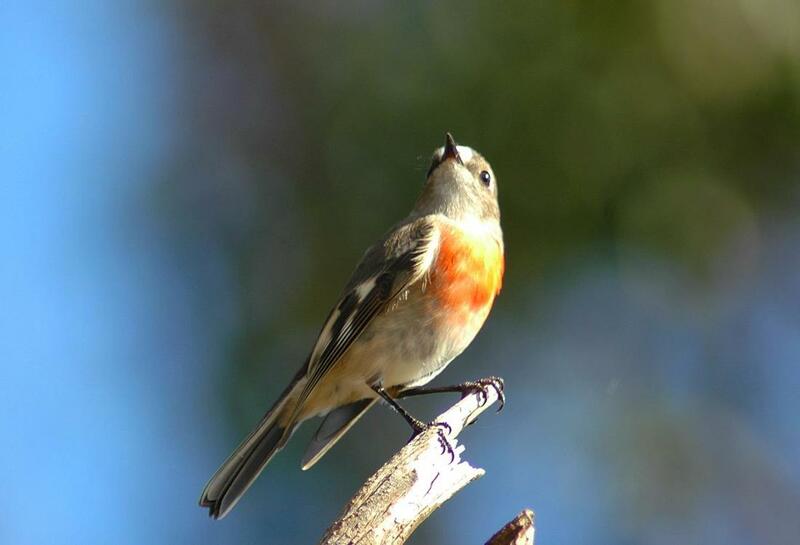 Scarlet Robin, female, Petroica boodang, Family Petroicidae (Australasian Robins). By Kim Baggaley. 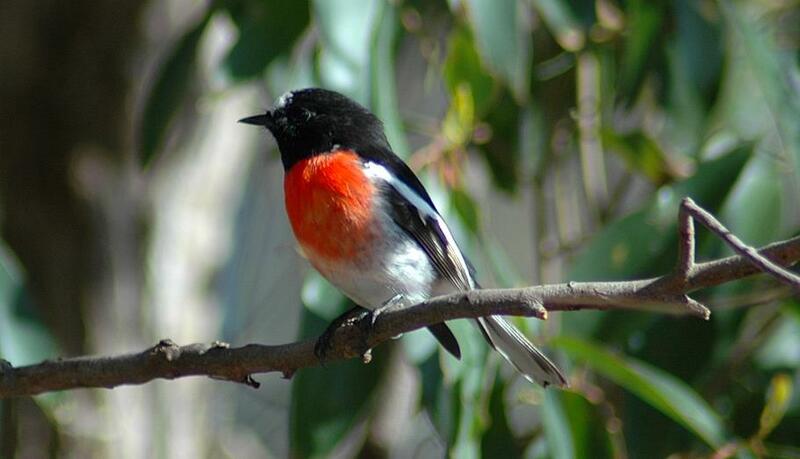 Scarlet Robin, male, Petroica boodang, Family Petroicidae (Australasian Robins). By Kim Baggaley. 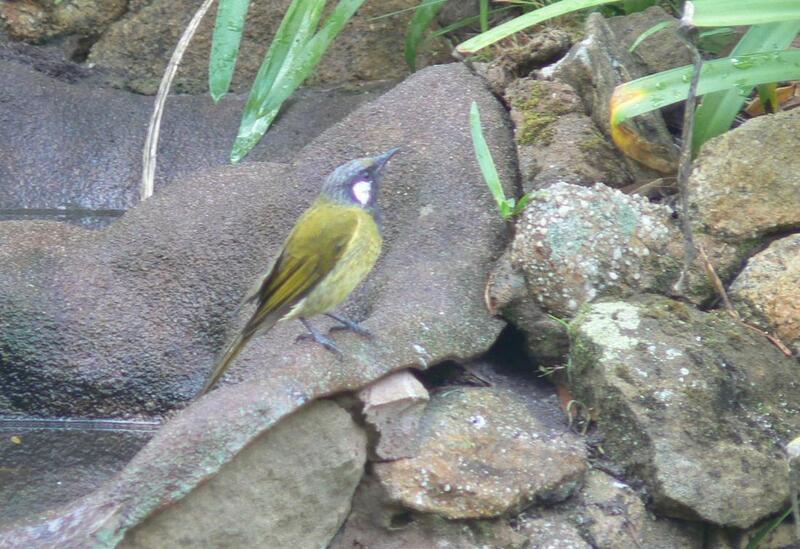 White-eared Honeyeater, Nesoptilotis leucotis, Family Meliphagidae (Honeyeaters). 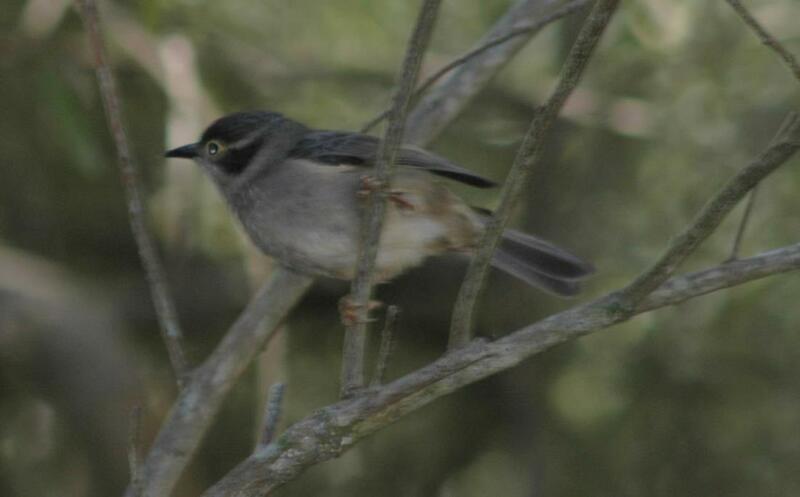 White-naped Honeyeater, Melithreptus lunatus, Family Meliphagidae (Honeyeaters). 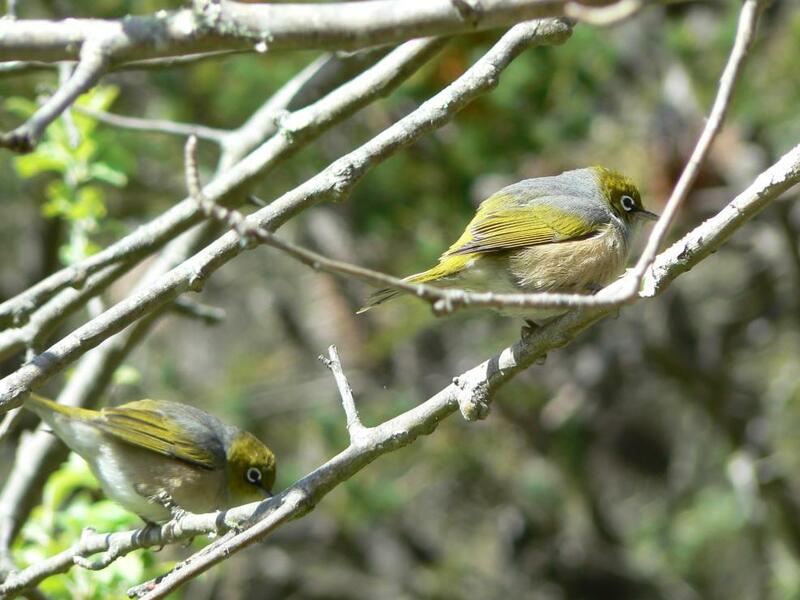 Silvereye, Zosterops lateralis, Family Zosteropidae. 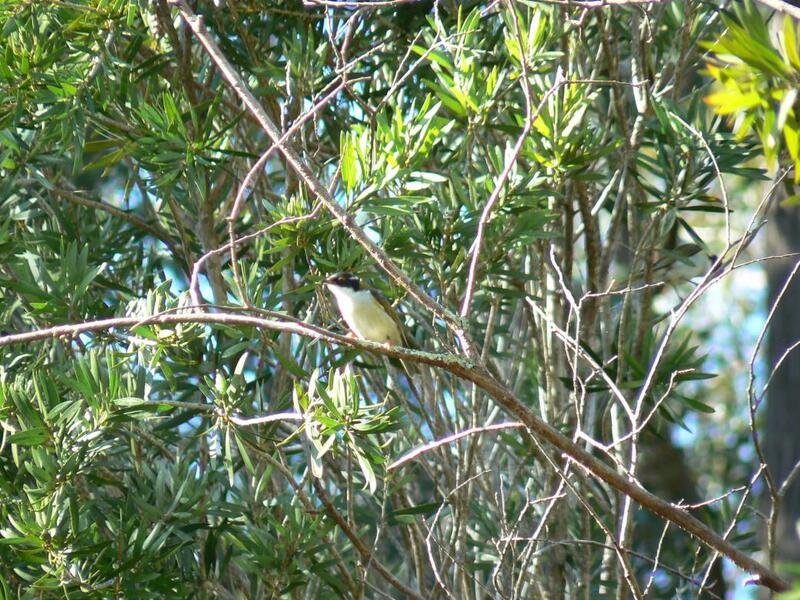 (White-eyes) Silvereyes are one of Australia's smallest birds yet some undertake long migrations from Tasmania to Queensland. 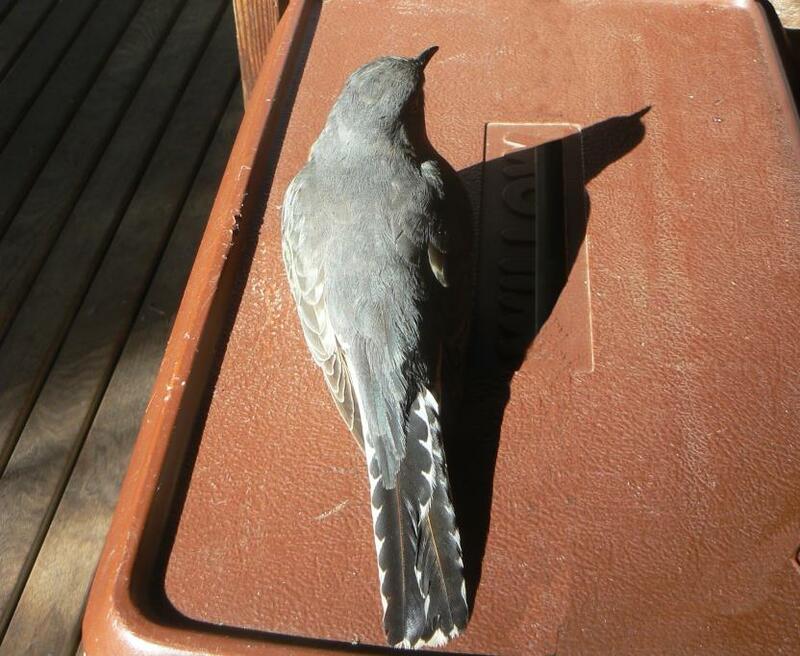 Fan-tailed Cuckoo, Cacomantis flabelliformis, Cuculidae (Cuckoos) window-hit, but flew away successfully. Showing its back and tail markings. Pallid Cuckoo Juvenile, Cacomantis pallidus, Family Cuculidae (Cuckoos).In the past it was often referred to by the name Brainfever Bird because of it monotonous calling, often day AND night. 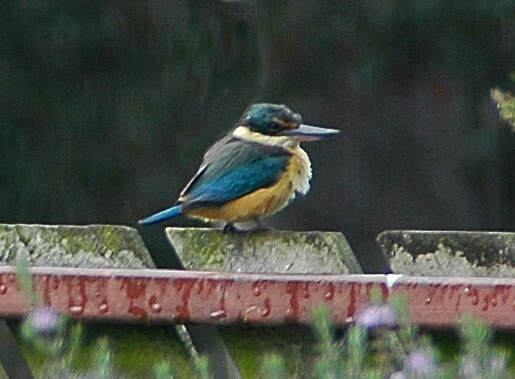 Sacred Kingfisher, Todiramphus sanctus, Family Halcyonidae, (Tree Kingfishers). A small bird with a loud and carryng ek, ek, ek, ek, call. By Kim Baggaley. 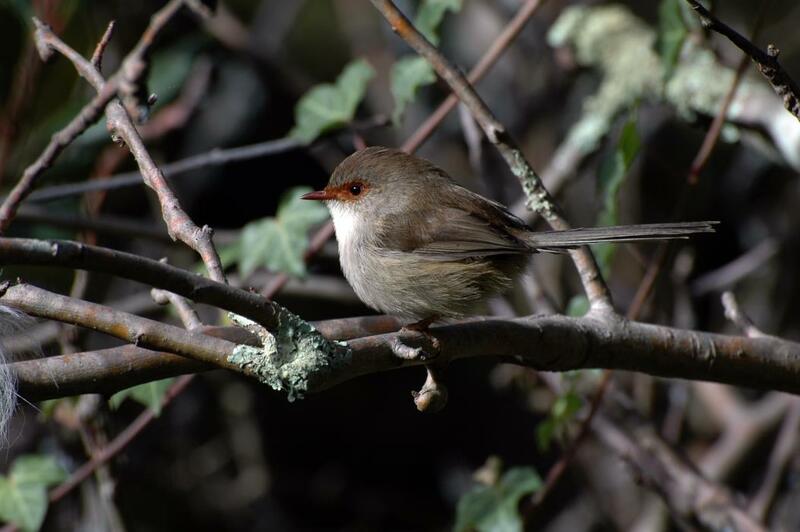 White-browed Scrub-wren, Sericornis frontalis, Family Acanthizidae (Australasian Warblers - which include gerygones, thornbills, and scrubwrens).